I feel I’ve been blessed to have had the opportunity to play and learn the game of doubles from some of the best players in the history of Toledo tennis. I still have a passion to play, learn and teach the game. Jim is married to his wife, Dawn. They have 2 sons and a daughter-in-law. 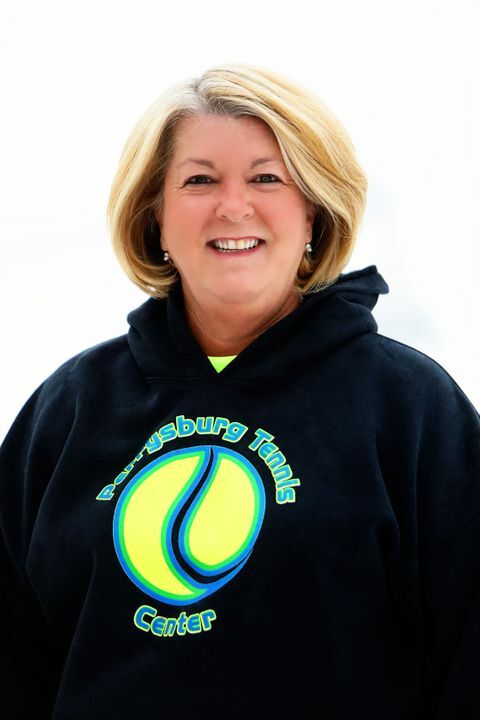 Mary Kay Minder began her love of tennis at the age of 13. She played high school tennis at St Ursula, and then continued her tennis career by playing D-1 college tennis at the University of Toledo. With over 30 years of teaching under her belt, Mary Kay has taught at various clubs in the area. She has worked with tennis players of all ages, from the youngest to adults at all levels. She brings to PTC many years of teaching and Management skills. She has been coaching at her Alma Mater, St Ursula, where her teams have enjoyed great success, always ending at the top of their league. Mary Kay has been named "Coach of the Year" for the Toledo City League several times. She is well loved and respected by all who know her. Mary Kay and her husband, Randy, have 2 daughters Lauren and Sarah. 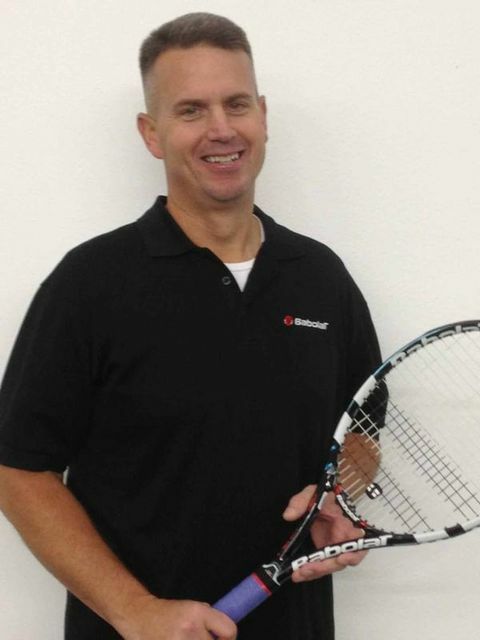 Jim has been teaching tennis for over 15 years. He has worked with people of all ages and levels, including juniors from beginning to nationally ranked. Prior to coming to Perrysburg Tennis Center, Jim worked in Chicago at Five Seasons Sports Club. During this time, he held the positions of Director of Junior Tennis and Interim Director of Tennis. 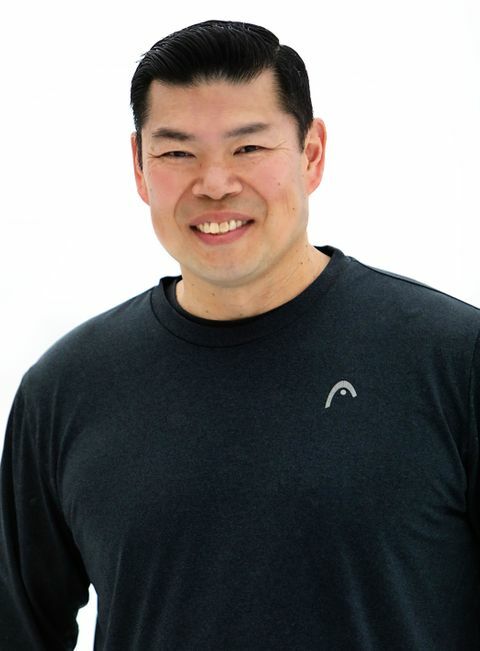 Jim has also gained experience as Head Tennis Pro at Armonk Tennis Club and as the Director of Junior Programs at Westchester Indoor Tennis Club in New York, and as a Player Development Coach through the USTA in Northern California. Jim has played in national and satellite/future level tournaments. He is certified by the USPTA with a Pro 1 rating. Brian Meyer grew up in Perrysburg, Ohio, and has spent a majority of his life in the Toledo area. Though he was introduced to tennis at a very young age, he spent most of his childhood on a baseball field rather than a tennis court. It was not until the summer before his enrollment at St. John's Jesuit High School that he gave up baseball and began to focus on playing competitive tennis. While at St. John's, he played varsity all four years, was a 3 time district qualifier in doubles (district champion 2006), qualified for the state doubles tournament in 2006 and 2007 (3rd place finish 2006), and was named first team all state in 2006 and second team all state in 2007. Brian was also the recipient of the John P. Harlow Sportsmanship Award at 2006 OTCA tournament. After studying education at Bowling Green State University, Brian spent six months enjoying his life in the beautiful city of Boulder, Colorado. It was his time spent in Boulder that inspired him to pursue a life on the tennis court in the form of teaching. Upon his arrival back to Toledo in 2010, he earned his teaching certification from the USPTA and spent the next several years working as a teaching pro at Shadow Valley Tennis, Laurel Hill Tennis, Inverness Country Club and as an assistant coach for the high school tennis teams at St. Johns Jesuit, Maumee Valley Country Day School, and Anthony Wayne. He has also spent time participating in a number of "10 and Under" tennis workshops and has worked in programs coordinated by the NWOTA and YMCA in order to further develop his skills in youth tennis. Nadia began playing tennis at eight years-old in Chicago, IL where she was coached by her father. She played Midwest, National and Future Level Tournaments throughout her junior career. She attended Lake Forest High School and was a three-year Conference and Sectional Champion and State Finalist in first doubles her senior year. From there, she went on to play both singles and doubles for The University of Toledo on a full-scholarship from 2007-2011. She received numerous awards including MVP, Most improved and MAC Player of the Week during her time there. Nadia's coaching experience began at 15 years-old at Northmoor Country Club in Chicago where she taught at for 4 consecutive summers. She also, spent two summers developing both juniors and adults at an International Tennis Camp in Philadelphia. 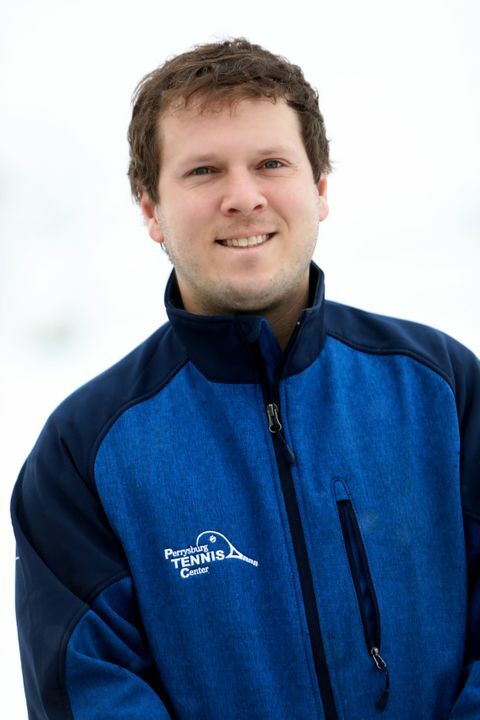 Since 2002, Tyler has been actively playing and teaching tennis throughout high school and college. He was a 4 year varsity player, 3 time All HCAC Honors, and the first player in school history with over 100 individual wins (102). After high school, Tyler received his Bachelor's Degree in Business/Information Technology at Defiance College, and his Master's Degree in Business (Leadership Specialization) from The University of Toledo. Tyler is a first generation tennis player in a family full of athletes. His younger brother and sister followed his lead to become All City League players (brother, Trevor, playing 4 years at Defiance College as well). Someday, he will be successful in his goal to get his dad to put golf on hold and try a USTA team. He's happily married to his wife, Julie, and they live in Maumee with their dog, Lady. Active ntrp 4.5 player. Multiple wins at the USTA state tournament level. Defiance College Head Men's and Women's Tennis Coach (2013-16). High School Sectional Tournament Manager (2013- Present). 2 Seasons of undefeated conference singles play.